» What Is The Most Effective And Best Flea Medicine For Cats? It is not a pretty sight watching a cat scratching because of fleas and it can be a shock to realize that the problem is worse than it first seemed. What Is The Best Flea Medicine For Cats? ​Flea medicine can also refer to medication that is taken orally as tablets. For treating a flea infestation and for fast acting results using a tablet or capsule is another option. This is an option that is often used in shelters. Both types of treatm​ents are explained and reviewed below. The topical drops ​last one month, although some manufacturers will say that the protection does last a bit longer than one month. That does take some experimenting. We have always found that it is pretty well spot on a month and then more drops need to be applied. The applicator makes these drops easy to apply. 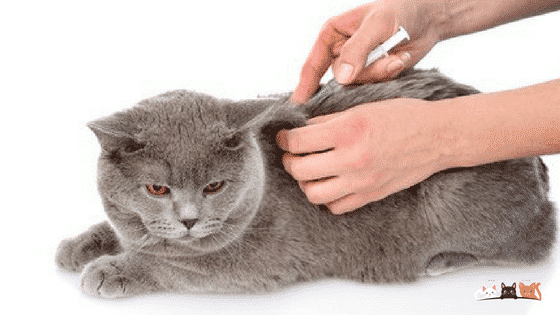 It is just a matter of snapping off the top or sometimes cutting the top, parting kitties fur between the shoulder blades and squeezing the applicator gently to distribute the product. The cat cannot reach around to lick the product, however, if possible, just keep kitty quiet for a minute or two until the product dries. If your kitty is like ​many and has already headed for the hills as soon as the application is done, well there's nothing you can do about that. The product does fortunately dry very quickly. This is actually really easy to do and then, that's it for a month. There are always exceptions and sometimes a cat may have an allergy to a product, so keep this in mind when using a new product and observe ​your cat to make sure all is okay. In the top right corner of the box, ​the number 6 indicates that this is a 6 dose product. That means, one dose per month, for 6 months. It is suitable for cats and also kittens over eight weeks old and weighing more than 1.5 lbs. This product kills fleas, flea eggs & larvae. ticks and chewing lice. It also kills the ticks that may transmit Lyme disease. We have used this product for years and it does perform well. The only exception is forgetting to reapply and that is human problem. 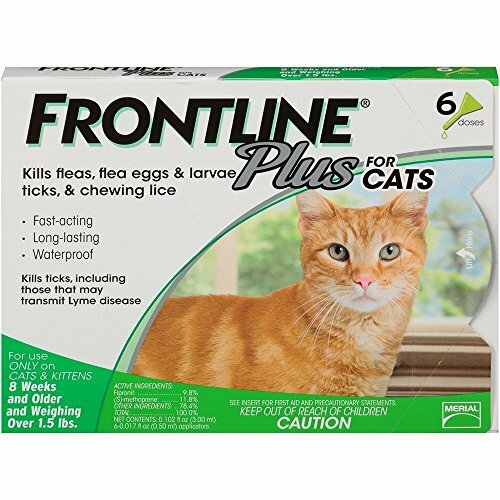 As a dosing reminder, Frontline comes with six small stickers that can be attached to the calendar on a particular day of the month as a reminder to dose the cat. If you would like more information about the chemical used and exactly how they work this is a detailed article from a veterinary perspective. This is a particularly good video showing how to apply Frontline Plus. It is being applied to a dog however the same method applies to a cat. This video shows very clearly how to part the fur and place the product from the pipette onto the skin. It is important to do this because the formula is stored in the oil glands of the cat's skin. It is a very simple procedure, however you know your kitty the best, so it may be a two person job to make sure it is applied correctly. This is a six dose product. The active ingredients are the same as Frontline Plus. It comes down to personal choice. You may find one brand reliable, however you may wish to try a similar brand that also has proven results. This way you can compare brands and products and prices and decide which product you prefer for your cat. This treatment is also applied topically in the same manner as Frontline. It works successfully on indoor and outdoor cats. It is applied once a month which is the same protocol as other treatment of this type. Indoor cats can still get fleas as the fleas come inside the house. It stops fleas feeding within minutes and kills adult fleas and larvae. 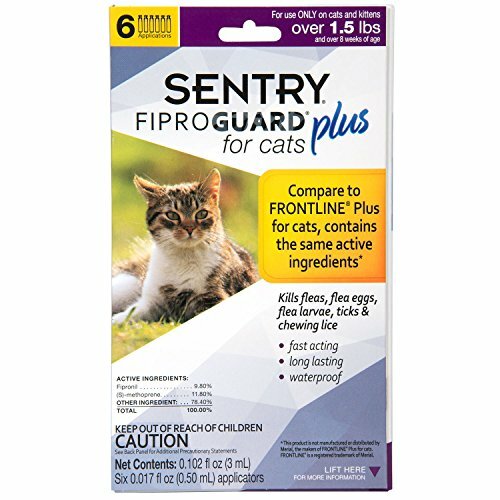 ​ This product works on contact so fleas do not have to actually bite​ resulting in fewer flea bites on the cat. It is water resistant but don't apply it if the cat is wet. Once possible side effect and I have seen this recorded is loss of hair at the site of application. This does happen occasionally and is reported as usually being a single occurrence ​with the hair ​​regrowing. The treatment shown in the image is for cats over 9 lb as you can tell by the purple tag in the top right of the packaging. In addition these treatments can be purchased in 2 doses, 4 doses and 6 doses. That covers all options and gives you the choice to try a 2 dose pack if this is a product you haven't tried before and want to give it a go. There is specific information here about the product, how to apply it and use it efficiently. Flea medicine can also refer to medication that is taken orally as tablets. The tablets referred to below both contain a product called nitenpyram. 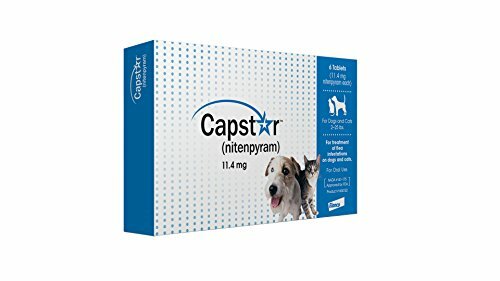 There is more information about nitenpyram and how it works here. This is a fast acting treatment. 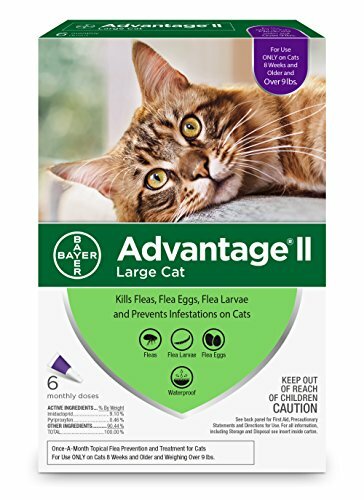 It will kill fleas on cats within 6 hours of treatment. Be aware that this in not a treatment that lasts for 30 days. It is a one off treatment that can be used as often as needed. It is often used in shelters to combat flea infestations. You can reapply as necessary or you may choose to use this product in conjunction with other flea medicine. For best results treat all infected animals in your household so that re infestation doesn't take place. This medication is in the form of a tablet. Either crush the tablet and ​add to your cat's food or use a pill popper. There's more information here about how to give your cat a tablet. Cats can be finicky about taking tablets and will not always eat food that contains crushed up medication. It takes some creative thinking. If giving medication regularly a pill popper would be the easiest option. This medication starts working within 30 minutes. It works for a 24 hour period making it a very good solution to quickly and efficiently get rid of a flea infestation. Note: This will get rid of a flea infestation however it does not provide ongoing protection, beyond 24 hours. How often you decide to dose your animal, for example, every second day, once a week or only when fleas are observed, will depend on the problems you experience with fleas in your situation. The product is commonly used in conjunction with other products. Although the image shows several bottles, the product is one bottle containing 12 capsules. This is in capsule form so it can’t rub off, come off and doesn’t need to be applied. For cats the easiest way to use is to open the capsule and add the powder to the cat's food. It contains Nitenpyram which is often recommended by veterinarians. The cat can have a flea infestation and may not necessarily be scratching madly all the time. Although scratching is the most obvious sign of fleas, it is essential to actually check for fleas on a regular basis. This video shows how easy it is to do just that. 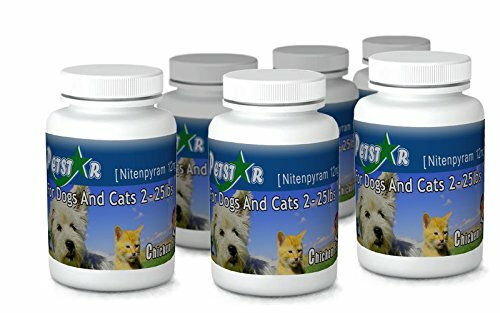 ​Cat Flea Tablets - Capstar as used in animal shelters. A product that has a proven track record to control flea infestations. It is fast acting, begins working within 30 minutes and kills fleas within 6 hours.​ ​It is a quick solution that offers 24 hour protection. Dosage can safely be given daily if or when required to control fleas. For other flea treatments and different types of flea control, there is more information here. Previous Post What Is The Best Flea Shampoo For Cats That Works? Next Post What Are The Best Flea Collars For Cats?